I received this book as part of the BlogAdda Book review program. This book is a culmination of two great minds. 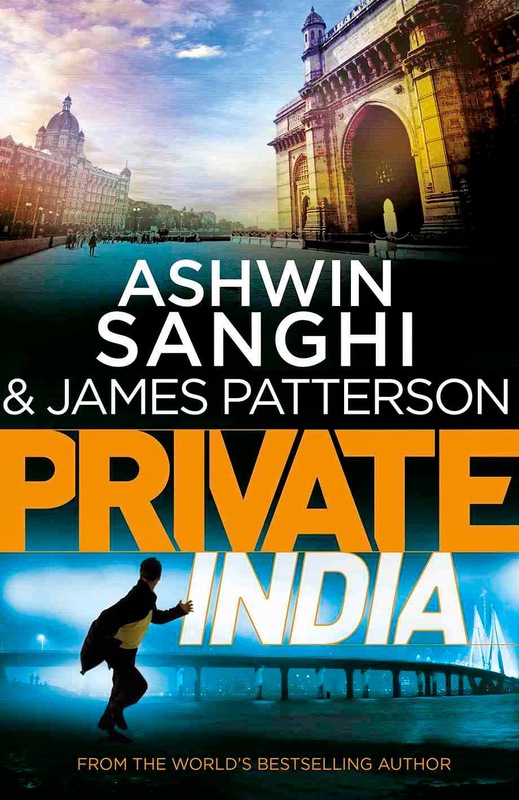 Our very own Ashwin Sanghi and James Patterson of the Private series fame. It’s an absolute page turner thriller and promises to have you glued asking for more. The collaboration has the protagonists of both the authors coming together to solve this absolute interesting maze of events. A series of serial killing rocks the city of Mumbai. The women murdered are strangulated with a yellow scarf. The murdered victims are the movers and shakers of Mumbai. They belong to different walks of life ranging from a doctor, to a journalist, to a singer, a politician, a principal, a judge, an actress……. with nothing in common among them on the face of it. The only common factors are the yellow scarf used for killing the victims and a series of trinkets placed around them. What ensues is a chase with a body found at every corner. The story is also of the troubled head of Private India, Santosh Wagh who lost his family in an accident. He is entrusted with the investigation of the serial murders. He and his team of investigators Nisha, Mubeen and Hari Padhi look for clues only to reach a dead-end at every corner. The entry of Jack Morgan fastens the pace of the investigation with all fingers pointing to the Attorney General who is embroiled in the killings at every stage. Sanghi’s penchant for mythology comes through with the interesting trivia about the thuggee cult and the navratri festival, making Goddess Durga an important part of the story. Mumbai is the central theme where the book is based. So the author takes you everywhere from Malabar hill to cuffe parade to Mira Road. The book has a little of everything criminal in Mumbai…….. the nexus between the police officer Rupesh and the underworld don Munna and Godman Nimboo baba, the corruption between the politicians and the judiciary, the betting racket angle, the bollywood angle, the maimed child beggar angle, child abuse, prostitution and political nexus and of course the terrorism angle……. just about everything criminal in Mumbai. The cover of the book has this lovely picture of the gateway and the Taj hotel together in one frame, taken in magic hour. I particularly loved that shot also the pic of the bandra sea link at night is beautiful and it does show the Indian connection to the Private series…… very apt. What I loved about the book was the small chapters. It kept me glued without letting me lose focus of the plot. Also the pace at which the book moved was fast enough to not let me lose the plot. Mumbai being one of my favorite cities and having lived there for a decade, I identified with the plot and the investigators. The trivia about the thuggee cult was totally new to me. Also the trivia about the various sects in India who were listed by the British as the killers was something I had never heard of. Being a Bengali, Durga and navratri are my favorite festivals so the significance of the nine avatars of Durga used in the book in this manner was well imbibed and a revelation. This is the first time that i have read Hindu mythology being used in a thriller in this way. What I didn’t think necessary in the book was the terrorism angle…….. the Indian Mujahideen angle and the Pakistan and ISI angle could have been avoided as it did not contribute to the main plot in any way. The Nimboo Baba character was also unnecessary. The book was long winding and some of the details regarding the Mumbai serial bomb blasts was totally unnecessary though I must say that it is the first time that the serial blasts in the Mumbai locals has been highlighted. Usually it is only the Taj attack that people talk about. All in all the book is a great read and value for money. I want to thank BlogAdda for the excellent read…… it was wonderful!! !